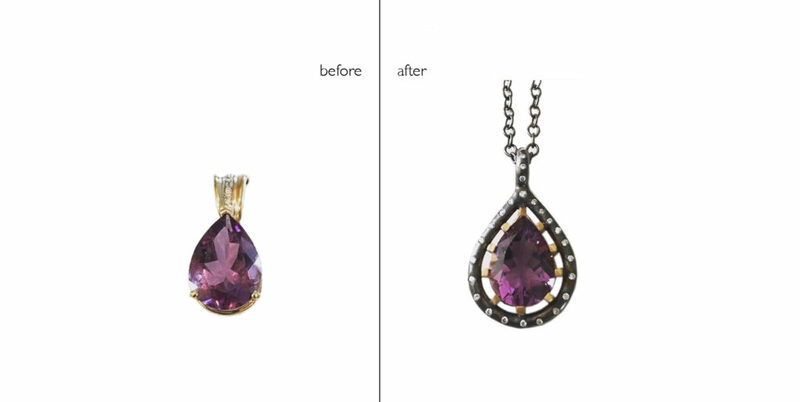 A client came to me with her grandmother’s amethyst pendant. She wanted to be able to wear it proudly all the time. I reset the gem and placed it in a gold basket surrounded by oxidized silver and white diamonds. 30″ silver oxidized chain. 14 karat.